R13 Denim was founded in 2009 by designer Chris Leba. 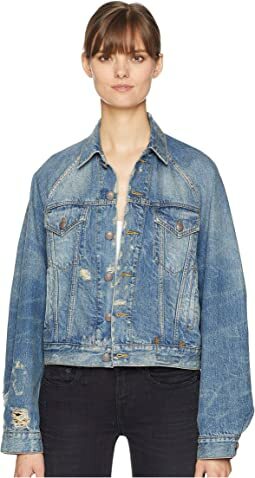 Inspired while driving through Italy, touring denim manufacturers, Leba created R13 with the goal of presenting luxury basics that recalled the rebellious spirit of America's history. Working under Ralph Lauren for over 20 years, Leba draws upon his experiences in representing the classics of American fashion with unflinching honesty, the "Other America," the always provocative underground of culture and art whose importance often goes unrecognized, but in time comes to define the zeitgeist of an era. 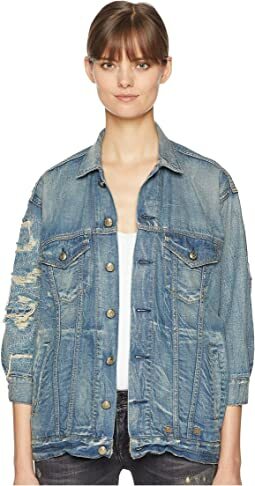 What started as just denim, moto jackets, and t-shirts has expanded into a full and varied collection, encompassing sweaters, flannels, and shoes, characterized by its uniquely flattering, progressive silhouettes and fidelity to the smallest details.